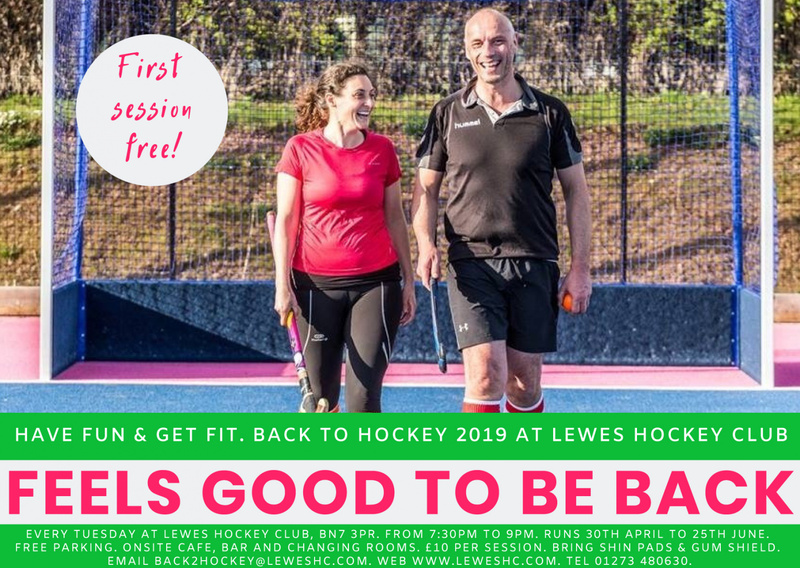 During April, May and June Lewes hockey club will be running another Back to hockey campaign. Back to hockey sessions are for adults who want to give hockey a go in a relaxed, fun environment. So if you've ever wanted to give hockey a try, get back to playing a sport, learn new skills or just want to improve your fitness then Back to hockey is for you! Every Tuesday from 30th April to 25th June. Cost - First session is free then £10 a session (£7.50 concessions). Please bring shinpads and a mouth guard and wear appropriate clothing/ footwear. Sticks are available at the club to use. Please also register for free on www.leweshc.com beforehand if possible as it will save time on arrival. Thank you.